"Frankie is smart, sharp, funny . . . and possibly a criminal mastermind"
So Frankie Landau-Banks decides to take matters into her own hands, outsmarting the secret all-male society at her rich kid boarding school by tricking the members, including her own boyfriend, into believing her increasingly outrageous commands are their leader's. Undaunted by her male peers, Frankie contests the old-fashioned idea that it's the boys who rule the school proving that girls are not to be dismissed – even by her own father, a former member of the all-male society himself! 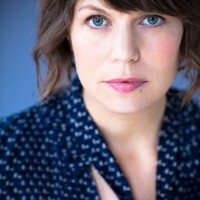 E. Lockhart is the author of nine novels including WE WERE LIARS, a New York Times bestseller; THE DISREPUTABLE HISTORY OF FRANKIE LANDAU-BANKS, a Michael L. Printz Award Honor Book, a finalist for the National Book Award and winner of the Cybils Award for Best Young Adult Novel; FLY ON THE WALL, DRAMARAMA, and the Ruby Oliver quartet: THE BOYFRIEND LIST, THE BOY BOOK, THE TREASURE MAP OF BOYS, and REAL LIVE BOYFRIENDS. She co-authored HOW TO BE BAD with Lauren Myracle and Sarah Mlynowski. Visit her online at: emilylockhart.com or on Twitter: @elockhart.